The Honda brand name is synonymous with quality and durability, and Honda Snowblowers are no exception. However, due to the grueling conditions that a snowblower must perform under, from time to time, your Honda Snowblower will need to have parts replaced. At this time you will be faced with a choice: to purchase OEM parts or aftermarket parts. The choice between OEM parts and aftermarket parts for your outdoor power equipment is easy, once you know the difference between the two. There are a few important issues that are essential for consumers to understand when they are choosing between Honda OEM parts or aftermarket parts. In the end, the consumer must decide what is best for their current needs, but the following discussion should serve as a simple guide. Quality & Durability: The manufacturer is the original source for these parts. Compatibility:These parts are designed to perfectly fit your equipment and all its specifications. Designed by third party companies. Created with OEM standards as a guide, but not made exactly like OEM parts. Generally do not have the same quality as OEM parts. Even though aftermarket parts are cheaper, OEM parts generally have better quality. Because they come directly from the manufacturer and are built specifically for your equipment, OEM parts provide quality that you cannot find with aftermarket parts. Generally, there is only one OEM part available for each consumer need, while aftermarket parts are offered in many different brands. For example, Honda will most likely only offer one type of snow blower belt, while there are many different brands of snow blower belts offered by third party companies for your Honda snow blower. As consumers, we tend to think that a bigger selection is a plus; however, that isn’t necessarily the case here. Why would it be necessary to offer a huge selection of products if you were completely confident in your one product? It wouldn’t be. When you are looking for parts for your Honda snow blower, you want the right part with best quality. OEM parts can offer you that without a doubt. Aftermarket parts will be more of a “hit or miss” situation. Would you like your parts to be covered under warranty? If your answer is yes, then you need to purchase OEM parts. Aftermarket parts do not have a warranty. In the event your OEM part needs to be replaced again, as long as you are within the specifications of your warranty, the manufacturer will provide you with another OEM part. However, if your aftermarket part needs to be replaced again, you will have another part. Because aftermarket parts are not built for the specifications of your equipment, it could possibly damage your equipment as well. Without a warranty, you would also be forced to pay for the repairs to your equipment, which can be costly. With better quality and a warranty, OEM parts offer the best long-term value. It is worth initially spending more money to save the headache and potential monetary costs brought on by aftermarket parts down the road. Honda outdoor power equipment is well-known by professionals and consumers alike. Honda offers generators, lawn mowers, pumps, snow blowers, tillers, and trimmers. 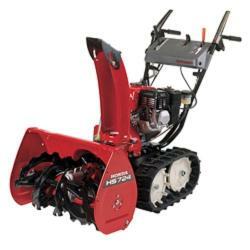 Honda snow blowers are well known for their durability, ease of use, and fuel efficiency. Honda OEM parts can be purchased directly through www.hondalawnparts.com. The website has a user-friendly Online Parts Lookup Tool, that makes ordering parts easy. Select your model and part number and purchase the part. Or, alternatively, if you are unsure of the exact part, you can use the Online Parts Diagram to figure out which replacement part you need to order. Select the shipping option, payment option and your replacement Honda OEM part will be on it’s way to your doorstep. If you need to speak with a Honda Engine expert, contact www.hondalawnparts.com, to speak with a company representative, who will help you to select the right part. This entry was posted in Uncategorized and tagged Honda, OEM parts, Snowbllower by Admin. Bookmark the permalink. No doubt, after markets are cheaper, but oem parts are much superior in quality, than the after market parts. The reason is that oem pats are being made by the original manufacturer and since the original manufacturer knows what is the best for the car, truly have all the charactaristics of the original parts.